‘Blimey,’ I probably said in reply, and then almost certainly began to um and ah. I’m not sure what’s prompted it, other than my loyal support, writing about the group and turning up to most if not all of their London shows; that and the thankless task of representing themselves, perhaps. They could not have asked a less Svengali-like figure. I was unemployed, depressed, prone to tension headaches, and introverted to the point that even making a phone call to a friend held a degree of challenge for me. So like a eejit, I turned Dave and the group down. With responsibility for their success in my hands, perhaps I would have pushed myself, and more through dedication than guile, managed to forward their cause a little. Grown with the role. But at that stage of my life, I feared it would be too much for me, and that I would have to resign as soon as it got like that, or find myself sacked when they saw I wasn’t coping. And then there was my own dream – of writing, literary greatness even – which I believed at all costs I ought to be pursuing. But I always felt honoured to have been asked, and if I had my time again, I like to think I would say yes, and worry about the worries and time for writing later. Say yes to everything, kids, that’s my advice. If it doesn’t work out, it doesn’t work out. Don’t be afraid of failure. And if you are thinking of being a writer, live some life before you sit down to write. That’s as important as finding the time to practice the art of it. 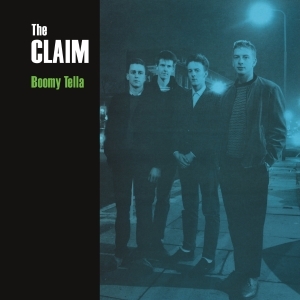 I still love the Claim’s music. It’s simple, yet surprisingly sophisticated. It’s heartfelt, yet lyrically speaks so often of doubt. It mixes the bloodlines of the Jam and English folk song long before Paul Weller thought to himself, and much less consciously than that might suggest. You should all buy a copy of the retrospective compilation, Black path. I can say that without declaring an interest, because not having become their manager, I’m not on a cut or anything. Initially when it came to picking a 45 of theirs, I was going to go with ‘Birth of a teenager’ – which I could with a degree of right claim as my own because scratched between the run-off grooves of its delightfully funny spoken word B side ‘Mike the bike’ (featuring Vic Templar) is ‘FOR DAN PANTRY’ – but to be honest I much prefer this song, a kitchen sink fantasia and homage to the dubious joys of the day of rest. It shares the same bleak Goffin & King vision as the Monkees’ ‘Pleasant Valley Sunday’, only with an enhanced sense of melancholy which no doubt results from the dismal nature of enduring Sundays in Britain in the 1980s. Lyrically Dave Read ventures beyond the view from the kitchen sink to daydream Walter Mittyishly as to what he’d answer if he were interviewed by the Sunday supplement he is thumbing through, a conceit that’s doubly rich for being handled straight within the context of the song, but also telling in terms of the Claim’s own inability to grow an audience to and beyond the point where he might have expected to be interviewed on a regular basis. Instead, he is the captive big cat featured on Alistair’s cover, caged and prowling, dreaming of the Serengeti. Melodically it’s perfect, so that if Dave Read had merely hummed his way through the song, you would still experience the same emotion of feeling ensnared within a suburban dream while real life happens elsewhere. It’s also beautifully played by the group, something fans came to expect of the Claim, having seen so often with our own eyes what a high-functioning, single-minded quartet they were. Having chosen consciously or otherwise to operate somewhat outside of the times, the Claim never did garner the audience they deserved. Perhaps they might have, had they had been as hip to the sounds of now as Damon Albarn’s Blur were, but since the Claim possessed more insouciance than swagger, it wasn’t to be. I should really plaster this with declarations of interest, as one among the folk behind the Hangover Lounge concern is a good friend of mine, but the truth is I’d be writing about their first EP regardless, because (a) it contains the first chance to hear Amor de Días, Alasdair MacLean of the Clientele’s new side venture in the company of Lupe Núñez-Fernández, and (b) it contains the first new recording by the Claim for nigh on twenty years. So for me it’s an event as much as a record. I wrote about the groups together once, the Clientele and the Claim, little imagining that their key players would end up in 2010 on either side of a nicely heavy slab of vinyl. I suspect the Amor de Días album, set for sometime release on Merge, will be something of a grower (there’s a tantalising short medley from it on the Amor website). ‘New wine’ is the first chance to hear how the sound might vary from that of the Clientele, softer and subtler even than the Lupe-featuring ‘No dreams last night’ on God save.., if that’s possible. It’s also notable for hymning a part of London that few if any have hitherto, namely Crystal Palace. ‘Old’ is the rueful, timeless number by the Claim, a reflection on ageing and death and carrying on which they might perhaps have written back in the day (‘Dear’ on the Black path retrospective suggests as much) but seems all the more poignant for the two Daves being – ahem – that much closer themselves to the subject they’re writing about (as of course we all are). It puts me in mind of Colin Moulding’s song ‘Dying’ on Skylarking – ‘what sticks in my mind is the sweet jar on the sideboard, and your multi-coloured tea cosy’ – and of Ray Davies. The Claim for me were always in that league, and they still are. 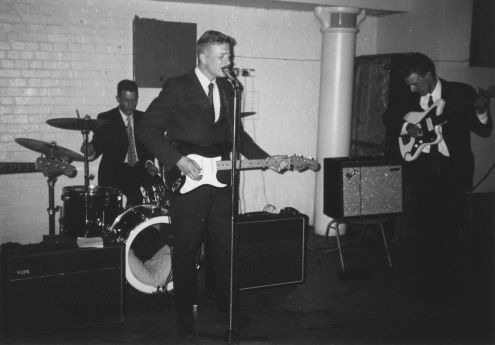 An atypical typical pop group. Of the other contributors, Hacia Dos Veranos turn in a lovelier instrumental than one called ‘The cat and the cucumber’ has any right to be, while Allo Darlin’s ‘Tallulah’ is pretty too; no prizes for guessing whom they are referencing with the title. Funnily enough you can imagine Robert Forster doing a nicely wry cover version. 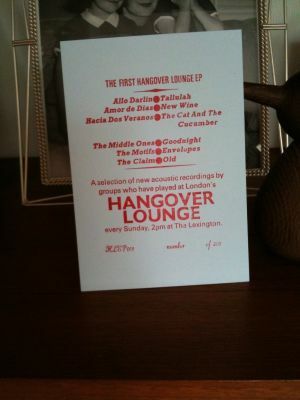 Three cheers then to the Hangover Loungers for making it happen, and for what are high quality production values for a first venture as a record label. There are two more EPs to come, and one of them features Rozi Plain, and no doubt many of the other acts who have graced the Sunday afternoon club with their acoustic presence, so readers would be well advised to collect the set. A reminder that the Claim open for the Dentists in a Medway spectacular at Dingwalls in Camden on Thursday 25th March. Here to celebrate this once in blue moon appearance are two songs from their Boomy Tella LP which can consider themselves unlucky not have made it on to last year’s Black path retrospective. I completely concur with Vic – the Claim were bloody marvellous on Saturday night in Rochester. Not better than I remember, as I said in the immediate aftermath, but simply as great as I made out in words written about them many years ago. So it’s pleasing to know that my memory isn’t playing tricks on me, that it wasn’t all a dream, and that the Claim were – and are – worth raving about. Phil Dillon’s photos of the night are infinitely better than mine. To celebrate, here – courtesy of the Right Honorable Vic Templar – is a link to a YouTube outing of one of the previously unreleased songs on the retrospective, the not entirely typical ‘Between heaven and Woolworths’. And here are the pages from Pantry For The World which celebrated the Claim’s Boomy Tella (‘the best LP of 1988’) and their subsequent singles for Esurient. 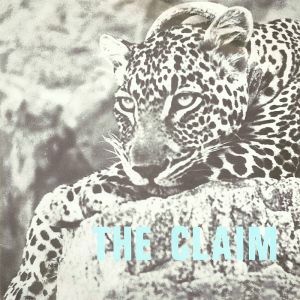 The quote about the Claim live came from a letter written by one Richey Edwards, whose group had just made their London debut supporting the Claim. Here also is one half of the Pantry For The World supplement, featuring a piece about the Claim by Kevin Pearce, who wrote about them with the appreciation and bias appropriate to the man who was releasing their records. That’s one half of Boomy Tella by my reckoning, and sadly means no room for the trombone-fuelled knees-up of ‘Beneath the reach’ or ‘All about hope’, on which the Claim were at their most exquisitely pastoral. Fingers crossed Boomy will before long get a release in its own right. Neither ‘This pencil…’ nor ‘Another yesterday’ feature – they can be downloaded here. There is also at least one live date confirmed at the Royal Function Rooms in Rochester on Saturday 19th September with the possibility of a London appearance. A jumped-up pantry boy has made frequent reference to the Claim over the two years it’s been up and running. Here from Pot Plant Pantry is the piece in which I first wrote about them, spurred on by seeing the group for the first time at the Black Horse in Camden in July 1987 and by acquiring their debut LP Armstrong’s revenge & eleven other short stories, and the EP This pencil was obviously sharpened by a left-handed Indian knife thrower. I can’t remember from where I dug up the picture of the smartly dressed set of sixties youth, but it’s not too far fetched to say that these were the kinds of faces you would see twenty years later watching David Read, David Arnold, Martin Bishop and Stuart Ellis, who had replaced Adrian Hatcher on bass. Still no sign of that Bus Stop compilation, I’m afraid, and alarmingly the label’s website seems to have disappeared. However, over at the Claim website, Rich has added a late demo dating from the time that the Claim changed their name to the English Scene. Written after Dave Read had stared thoughtfully down from the balcony of a tower block in Bow, ‘Hercules’ a.k.a. ‘Cathy loves Hercules’ typifies all that was great about the group. While we wait for the chance to hear more of the earlier songs in full Technicolor glory, here in black and white are the two songs I mention in the piece. Well done to Vic who is trying hard to get some wind behind an unlikely Claim revival here and here. Vic was if I’m not mistaken the writer and narrator of ‘Mike the bike’, the B side of the group’s ‘Birth of a teenager’ single for Bob Stanley’s Caff label. It will be a joyous day indeed when the Bus Stop compilation – originally scheduled for release in 2002! – finally sees the light of day. Meantime there is a Claim website streaming a few of their songs, and efforts have been made on YouTube which allow you the pleasure not just of ‘Sunday’, ‘Sporting life’ and ‘Birth of a teenager’, but also of seeing the Two Daves (Read and Arnold) performing ‘Picking up the bitter little pieces’ as recently as July last year. Appearing around the time that the Manic Street Preachers took to the stage to help celebrate Heavenly’s eighteenth birthday last month, here is a great interview by Simon Price with Nicky Wire and James Dean Bradfield. It focusses on their time on the Heavenly label, and includes some reflections on the group’s first London outing, promoted (I use that word in its loosest sense) by ‘mod English eccentric’ Kevin Pearce. Bob Stanley wasn’t the only one laughing that night – the Manics compelled a reaction, and the laughter was instinctive; pleasure that they were as over the top as they were, mixed with an undercurrent of derision (for they seemed ludicrously deluded), and possibly an edge of hysteria at what might happen next. There are honourable mentions in the interview for the Claim and Bullfrog fanzine (edited by Chris Jones who is discussed elsewhere in these pages), apparently a favourite of James’. The tone of the interview is affectionate and humble, and it’s hard not to smile at the idea of Jeff Barrett and Martin Kelly as an indie version of Brian Clough and Peter Taylor. I should have mentioned in my ‘Goodnight’ post that there is a Claim website. Assuming you have Adobe Flash Player installed, you can listen to a handful of their songs, including Boomy Tella opener ‘Not so simple Sharon said’, their single for Bob Stanley’s Caff label ‘Birth of a teenager’, ‘This pencil was obviously sharpened by a left-handed Indian knife thrower’ (labelled ‘T’ on the player for obvious reasons) and an awesome demo of live favourite ‘Ernestine’ recorded with a string section, the magic of which is getting me – all over again – just a little hot under the collar that it never saw the light of day at the time. His voice has lost its top-end choir boy sweetness, and the bottom-end is rougher than it was, but you can still see performance magic in this clip of Dave Read singing ‘Goodnight’ from a rendering of the whole of the White album at the end of last year. Bob Collins formerly of the Dentists is playing the guitar. Dave was the singer in the Claim, the best thing to come out of Kent since hops were first harvested, and this is a second echo since they disbanded fifteen years ago, the first being his vocal on ‘My number nine’, a B side by Coax that I will surely write about in my ‘Backed with’ series before long (and mentioned in this piece on the Claim and the Clientele). It may look like a bloke who’s put on his best shirt to sing karaoke in a boozer, but to anyone who saw the Claim at their peak in London in the late 80s, it’s so much more than that – a touching reminder of the Claim’s ordinary genius. Of course I would rather have stumbled across a clip of Daves Read and Arnold doing ‘God, Cliffe and me’ from that time, but in the absence of that, and the collection that the Bus Stop label is yet to deliver on, it’s something.